Edit: The new Brisbane court complex is now open. I happily admit that it looks great from some angles. Today's Herald-Sun carries a contribution by Marilyn Warren to the paper's current Make Melbourne Better campaign. The article is an economical work of recycling by the Chief Justice. It's extracted from a much longer address made by her Honour to the Third Justice Environments Conference at the University of Western Sydney last year. The full speech can be found here. Both are further steps in the delicate dance by the judiciary to get the other branches of government to loosen their purse strings and furnish the Supreme Court with a new home, or update their existing one. Both pieces challenge the traditional presumption that court buildings should instil fear and trepidation in those who pass through their doors. 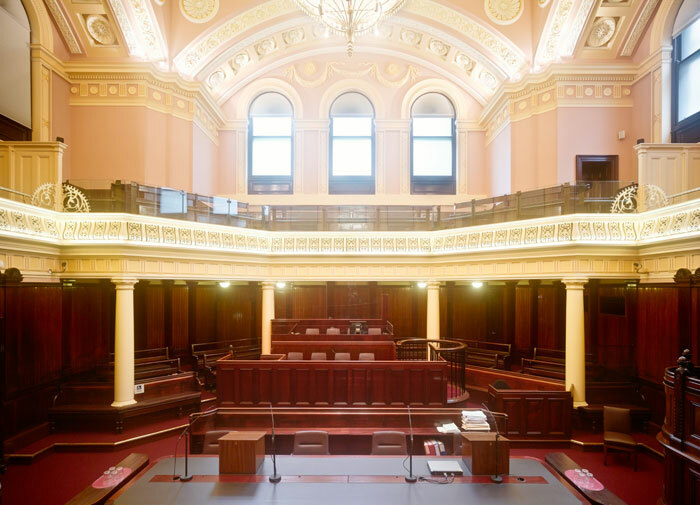 They invite building designers (and those who fund them) to further develop a new style of architecture for government buildings that is both inclusive and Australian. 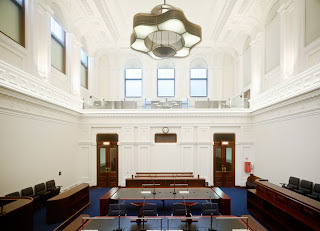 The Chief Justice makes reference with approval to a number of recent court buildings, including the Adelaide and Melbourne Federal Courts, Melbourne's County Court and the Parramatta Courts Precinct in Sydney. This is referred to as, 'a sophisticated layered façade and a truly beautiful building internally and externally'. I don't wish to be unkind but from the sketches it looks to me like a modern glass box with a predictable IKEA interior. It's obvious that Gothic revival isn't in keeping with the Chief Justice's desire for a building that is 'open and full of light', but I like it. (But then I don't know anything about architecture except what I see on Grand Designs). If I worked there I would always be waiting for a hatch to pop open on the flying saucer and all the people who were abducted to come stumbling out. Not sure I like the design, but at least it's original. I'm interested to hear how people think a modern court building should look. What do you think? Lovely post. A modern court building should look like the Supreme Court of Victoria did when I was an articled clerk. That anyone could think any building could be better for the Supreme Court than its current one is a matter of the most genuine surprise for me. 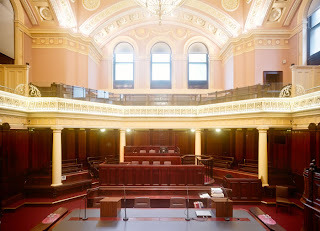 A high priority of the new Victorian government should be the removal of the carpet laid in its corridors and the turning off of the infernal muzac which, unbelievably, is now piped through its halls. Don't care what it looks like as long as it does the job. Every branch of the Magistrates' I go to there is a struggle to play any kind of recordings, CCTV, interviews, etc. It does not matter whether it was built fifty years ago or in the last few we end up using my laptop. In the County Court I don't have the same problems. Just hand a disk over and it plays. Maybe that is more about the people using the equipment than the equipment itself, I don't know. Note to the CJ: when people complain about lack of transparency in the court system they are NOT talking about the number of windows!! Mz Warren marshalled her arguments effectively, as one would hope from a Supreme Court judge. 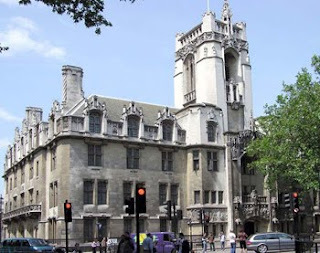 But apart from failing to make the case for why the current facility is inadequate, her arguments in favour of making courts "light and airy" seem at odds with the public perception of what courts should be. Courts are supposed to be places that people should work hard to avoid. It's insane to try to make a court, a prison or a Centrelink office as inviting as a department store (the new Myer+David Jones development does look a lot like the new Brisbane Court). i) The foyer, reception, lifts, etc. The parts where the public and lawyers hang around waiting for their cases to be heard. You never see judges here. This is the part where Mz Warren is saying the courts must open themselves up and be light and airy. 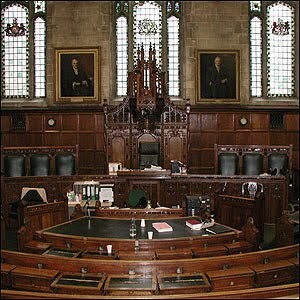 ii) The courtroom. This is separate from the public areas. Only people whose cases are on are here. The focus of the room is on the judge. Sometimes there is a window but its more for some natural light than anything. There would be no point watching a case without being able to hear it. iii) Private rooms. 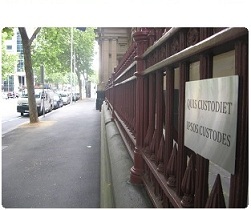 The jury rooms, the judges' chambers, the libraries, lunchrooms and offices. This is where decisions actually get made. As always, these rooms will be off-limits to the public, private, secluded and none-of-our-business. I'm not saying that this arrangement is a bad thing. You need it for security and probably all sorts of reasons. But I just point out that it doesn't make much sense for a judge to say courts should be open to the public when all of the important bits (ie. the parts she would actually use) will be as secret as they have always been. 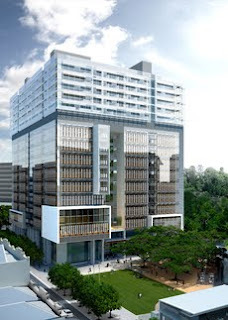 You can even see the design for the Brisbane Court separates out the first 10 floors are for the plebs and the top 5 floors are for where the special people are. Talk about an ivory tower! It would make more sense for her to say, "This is the 21st century, the wiring in this building is crap, rats eat my books and I can't get WiFi." At least then she would be talking about how her surroundings effect her work. Unless the point of the article is to elevate style over substance. But that's supposed to be the stuff of politicians, not judges. Qld - looks like a CD cabinet. 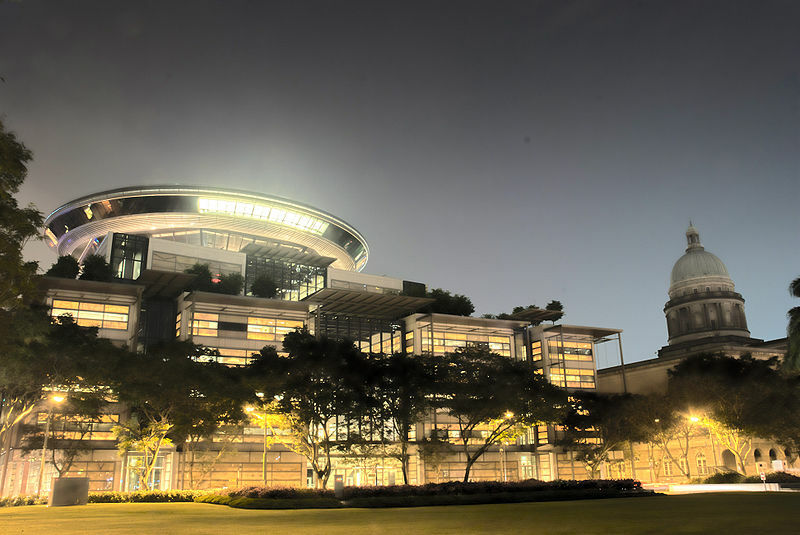 The highest judicial officer in the State should give some thought to the pay and working conditions of the people who actually make the justice system function (registry, police, legal aid) before stressing over whether her workplace is winning architectural awards. I liked the Parramatta Justice Precinct. Thanks for posting the link to it. It may be a little too much in a few places but the total impact is very distinctive. 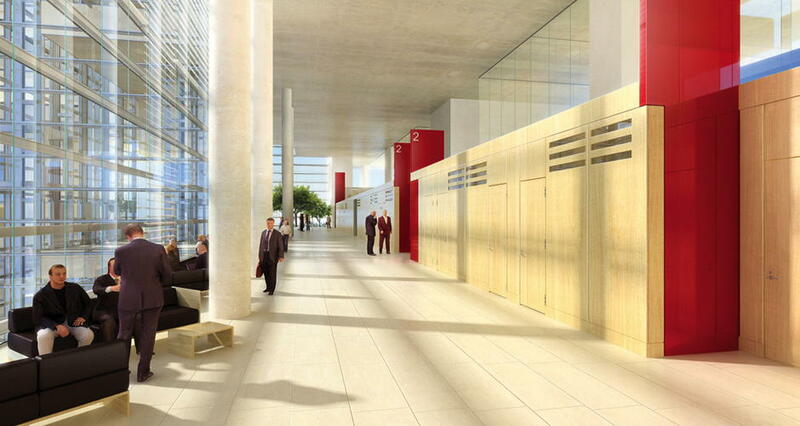 They are the court buildings of the future. Nice one, You Have To Be Joking. People do not care how pretty the waiting room is. They just want the matter dealt with without having to come back three times. And in the same year that it starts would be appreciated. I vote for the UFO court! But I also don't have a problem with the traditional design of the SC like it is now.